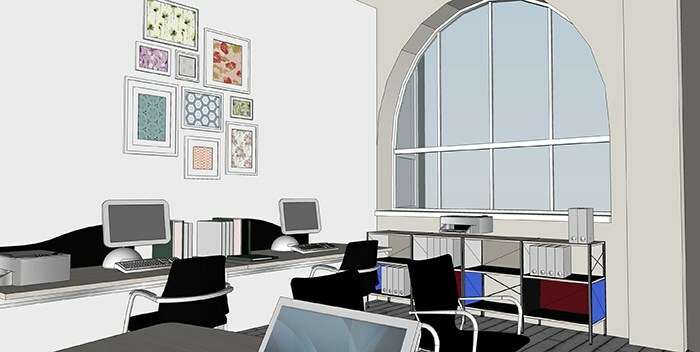 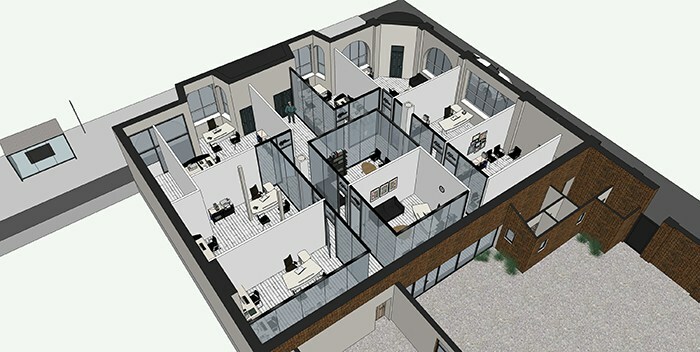 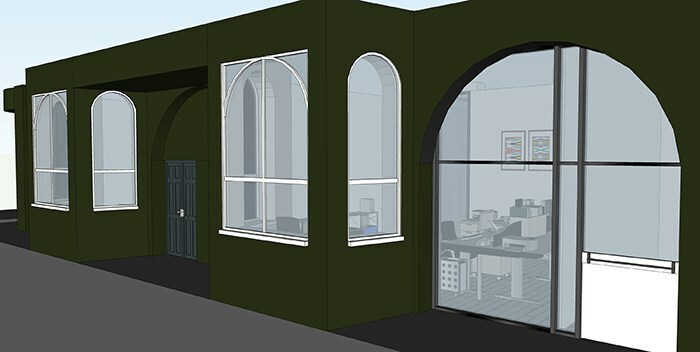 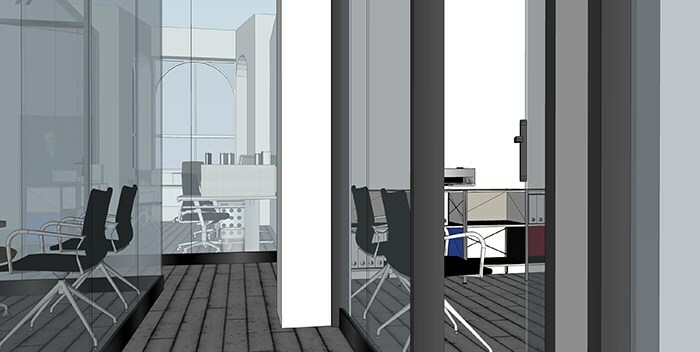 The office design modelling has been created accordingly to the clients brief using Sketch up modelling software to refit a historical office space to include 9 rooms with contemporary glass walls and timber floor rooms. 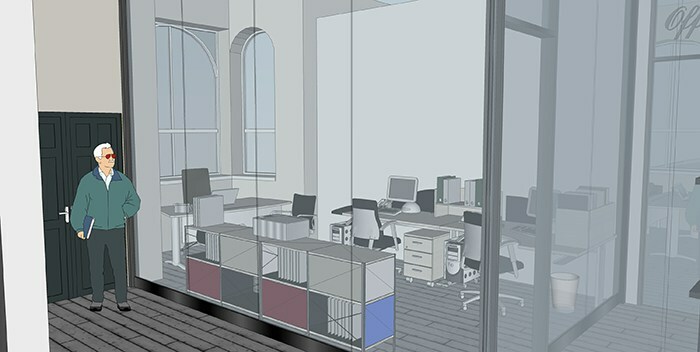 Interior design layouts have also been created to maximise space use and internal layouts has been arranged to enable easy circulation spaces. 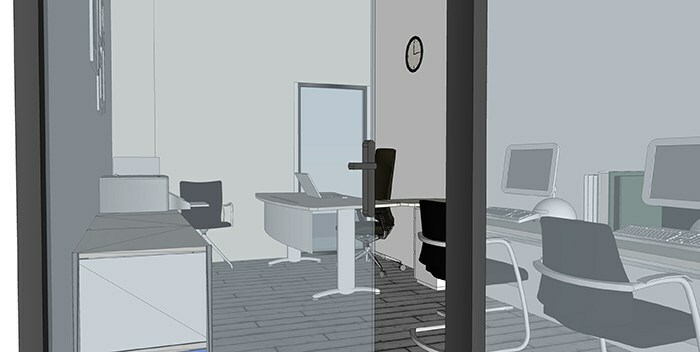 By 3D modelling the spaces has helped the client to visualise realistically the dimensions and helped to take decisions beforehand. 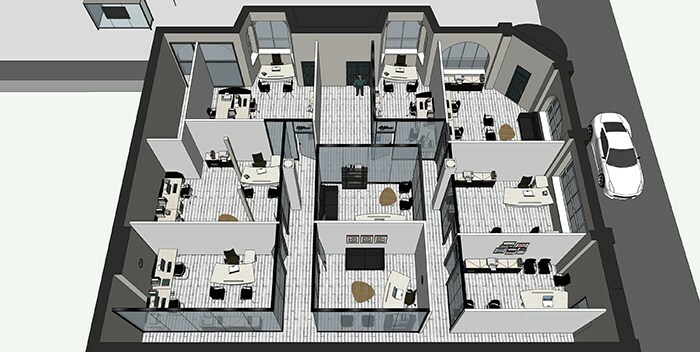 Also the visual connection each space has with one another.